UPDATE (3/19/2019): Marion "Pooch" Hall has pleaded no contest to misdemeanor DUI and child endangerment, per L.A. courts. He was sentenced to three years probation and a three-month alcohol program. He also has to take a one-year parenting class. Hall is set for a progress report on June 1. UPDATE: The Los Angeles County District Attorney's Office confirmed Marion "Pooch" Hall is being charged for child abuse and allegedly drinking and driving on the night of Oct. 3. In a statement, the DA's office wrote: "If convicted as charged, Hall faces a possible maximum sentence of six years in state prison." 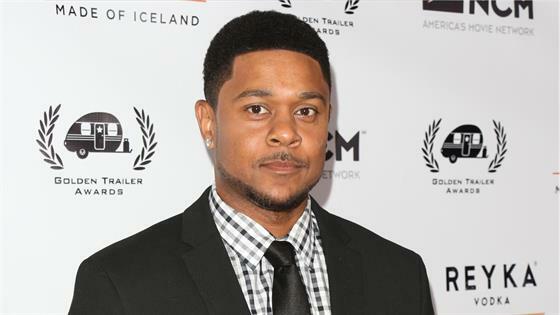 Marion "Pooch" Hall was arrested for DUI and felony child endangerment on Wednesday night. The Ray Donovan actor was driving in Burbank, Calif. around 7:30 p.m. when his car collided with a parked vehicle. According to Burbank Police, when police officers arrived, witnesses reported seeing a man driving a sedan weaving in and out of traffic with a small child seated on his lap. One witness reported seeing the child's hands on the steering wheel. This driver ultimately collided with a parked vehicle and was detained at the scene on suspicion of driving under the influence. "Mr. Hall displayed obvious signs of alcohol intoxication and was unable to perform standardized field sobriety tests," a statement from police reads. "Mr. Hall's 2-year-old son was riding in the car with him at the time of the collision and was determined to have been riding in the vehicle unrestrained, as required by law." Thankfully, there were no injuries reported as a result of the collision. Hall was placed under arrest and booked for child endangerment and driving under the influence of alcohol. He was held in the Burbank City Jail in lieu of $100,000 bail, but a Burbank public information officer confirms to E! News that Hall posted bail this morning, he is due in court tomorrow. Charges against Hall are pending review by the Los Angeles County District Attorney's office. Hall's son was released to his wife at the scene. E! News has reached out to Hall's rep for comment. This story was originally published on Thurs., Oct. 4 at 11:37 a.m.